J.Crew Can't Style Black Hair. What were they thinking? 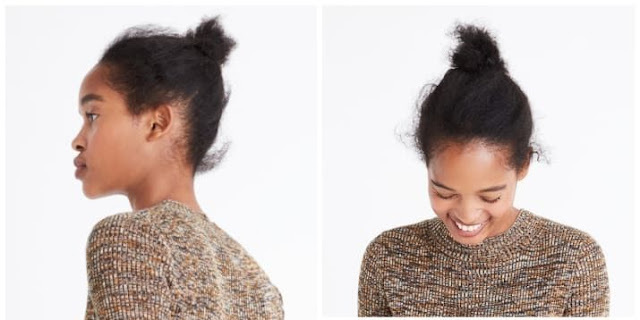 People were all in a rage over how J.Crew "styled" a black models hair. Veronica Wells wrote an article on the popular blog website curlynikki.com on just how she felt. Here is just a small section of how she felt and many others. Do you agree or disagree with these sentiments and how we get offended when other disrespect our natural tresses? "Last week, the internet was in an uproar about a J. Crew/Madewell ad featuring Dominican model Mari Henny Pasible. Everyone swore that J.Crew had dropped the ball in their incapability to hire a stylist who knew what to do with Black hair. I mean people were outraged, making jokes about wanting to fight the clothing company for allowing this Black woman to look “bad,” in a nationally disseminated ad campaign. This is not the first time a company has disrespect a women of colors hair. There is no reason why a person who is capable to style this young ladies hair was not used. We wish we could say this was not a black stylist but there are some black stylist who would've done the same thing or worse. Bottom line this young lady should have taken responsibility for her look and objected when she looked in the mirror. Only you have ownership over you and that includes your tresses ladies!